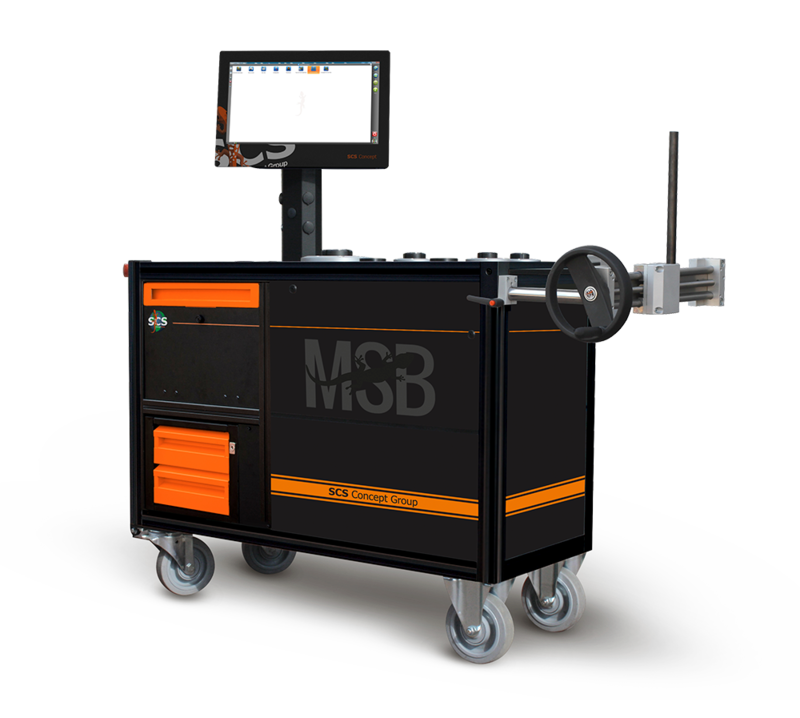 MSB is a test bench with mechanical joint simulators for test of all types of power tools and torque wrenches, complete with PC and Statistic and Management software. Thanks to the SCS wireless technology it is possible to connect the SCS wireless transducers RMC BT and wireless torque wrenches. MSB can be used not only for Machine Capability but also for Process Capability and analysis on production line. Tools test: wrenches (electronic/digital, click), pulse tools (excluding impact wrenches). Automatic detection of the click point of click wrenches. Statistical Process Control: Measurement of machine capability (Cm, Cmk) and X, R charts. Mechanical joint simulators for testing of pulse tools with shut-off valve.